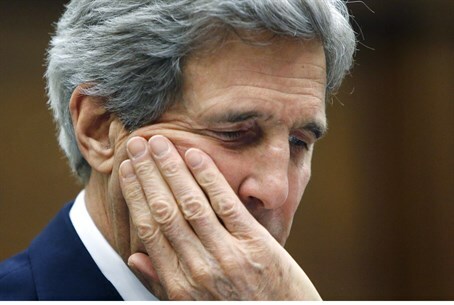 The backlash against Kerry for saying Israel could become "an apartheid state" continues. U.S. Secretary of State John Kerry faced harsh criticism from American Jewish organizations on Monday, in the wake of his comments that Israel will become an “apartheid state” if no peace agreement with the Palestinian Authority (PA) is reached. It should be noted that the criticism was made before Kerry clarified his comments. “At this critical moment, the true focus of those who support peace should be on urging President Abbas to revoke his destructive agreement with the terrorist organization Hamas, and continue peace negotiations with Israel without preconditions,” said the group. The Republican Jewish Coalition (RJC) condemned Kerry for the remarks as well and demanded action from Obama over them. “Kerry’s language is not just inflammatory and inaccurate, it also jeopardizes American peace process efforts,” said RJC Executive Director Matt Brooks. “It will further encourage the Palestinians to act and speak as if only Israel must make concessions in the peace process, even as the Obama administration has stressed that the Palestinians must make ‘very, very tough decisions’ for peace,” he added. “President Obama must clarify whether Secretary Kerry’s statement reflects his administration’s views and policy,” said Brooks. The Anti-Defamation League (ADL) also did not let Kerry off the hook and said it was "startled and disappointed" by reports regarding his comments. “It is startling and deeply disappointing that a diplomat so knowledgeable and experienced about democratic Israel chose to use such an inaccurate and incendiary term,” said Abraham H. Foxman, ADL National Director. “We appreciate Mr. Kerry's deep concern for Israel and his desires to ensure that it have a future of peace and security. Even if he used the repugnant language of Israel's adversaries and accusers to express concern for Israel's future, it was undiplomatic, unwise and unfair. Such references are not seen as expressions of friendship and support,” added Foxman. Kerry has already been criticized for his comments by Transportation Minister Yisrael Katz and by Dani Dayan, Chief Foreign Envoy of the Council of Judea and Samaria. Congressional Republicans also lashed out at Kerry, with House Majority Leader Eric Cantor calling on him to apologize, and Sen. Ted Cruz taking it even further and calling for Kerry’s resignation. Kerry’s spokeswoman, meanwhile, appeared to make things worse on Monday when she was asked by a reporter about Kerry’s comment. The spokeswoman, Jen Psaki, stumbled when asked to acknowledge the offensiveness of Kerry’s remarks. While she said that Kerry “believes that Israel is a vibrant democracy”, she also claimed that the apartheid comments were part of Kerry’s support for the “two-state solution” and that “many officials have used similar phrases”.